The customer started a business line to produce controllers for industrial power converter electronics. 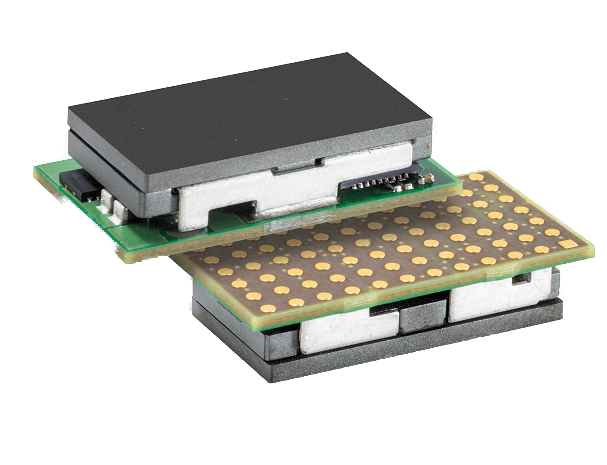 Target applications were Point-of-Load power modules, such as used in Ethernet Routers and Switches and other industrial electronic equipment requiring highly-efficient but flexible power conversion near the load. Our customer started a business line to produce controllers for applicaition in industrial power converters, so-called Point-of-Load power modules. The customer’s approach was to offer a versatile IC to the market. The customer's marketing and sales and application functions were staffed, however there was no IC development team. A challenging but attractive IC product was defined and specified based on extensive application knowledge and market feedback, however there was no product prototype, not even partially, nor resources to create it. The customers discovered market interest and already received request for samples, so a quick IC development was desired. In a new IC process SystematIC developed all analog function blocks and the complex mixed-signal chip toplevel as an ASIC reference design and layout. The product definition showed a complex chip with many analog functions, as well as several architectural application concepts. Flexibility and programmability were key to this versatile power controller IC for Buck converter topologies. In an initial feasibility phase all accurate analog functions were assessed on performance and area in the chosen process. Those included high power charge pump, trimmable reference, programmable oscillator, phase lock loop, offset-compensated sense amplifiers and comparators, and several protection functions. Also operation in the application system was carefully studied, such as pll-synchronized multiphase operation, multi-module current sharing, handling of error conditions, and diode emulation mode. In the detailed design phase all analog functional blocks were designed and layouted. Blocks were simulated over PVT corners (process/voltage/temperature), key blocks were simulated with extracted layout parasitics. Mixed-signal top-level simulations were done of this complex IC including the power converter application (external components), covering PVT corners, before the chip design and layout database was released to the customer. Architecture and feasibility study took 4 weeks and led to an IC area estimation, and plan for IC design & layout, including break down into block specifications. Within a year the full IC design, layout and simulations were completed. SystematIC completed a complex power-controller IC design and layout including full functional check by simulation over corners. The extensive set of high-performance analog blocks which we developed in a new CMOS process, also makes a useful IP library for reuse in future power-controller IC developments in the same process. SystematIC covered mixed-signal (AMS) simulation of the IC (even multiple IC's) in a (modelled) application and did functional checks of power-converter architecture concepts. SystematIC engineers contributed to an invention on diode-emulation for boundary-condition and discontinuous-conduction operation mode and are named on the customer's patent (US2011221414A1). By involving SystematIC the customer enhanced its new business line for power controllers with a flexible, skilled and efficient design team, bringing rapid product prototyping as well as a valuable analog IP library in place. The innovative design contribution of SystematIC also found recognition in a granted patent.